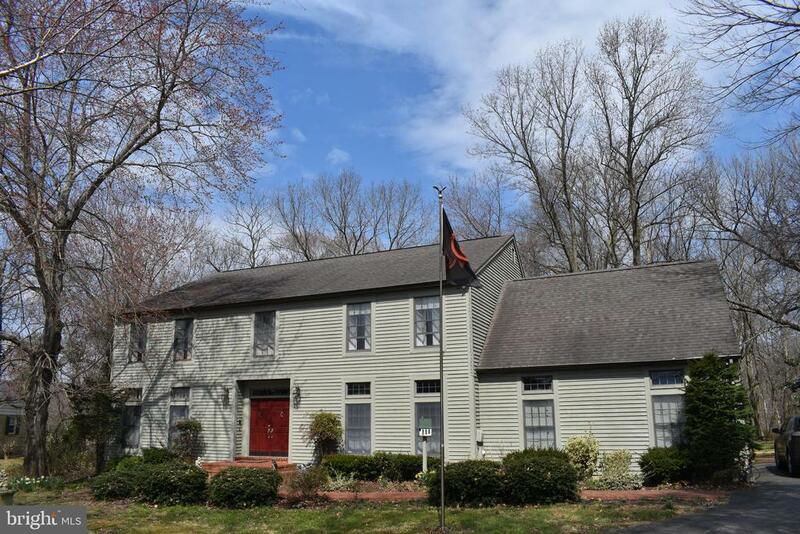 All Havre De Grace homes currently listed for sale in Havre De Grace as of 04/23/2019 are shown below. You can change the search criteria at any time by pressing the 'Change Search' button below. 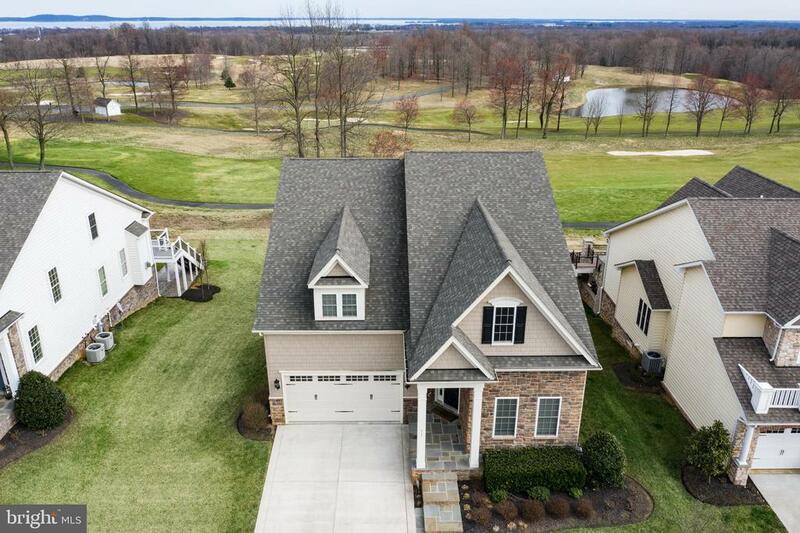 If you have any questions or you would like more information about any Havre De Grace homes for sale or other Havre De Grace real estate, please contact us and one of our knowledgeable Havre De Grace REALTORS® would be pleased to assist you. "Now available for the first time in over 200 years. This historically significant home is available for you to purchase. 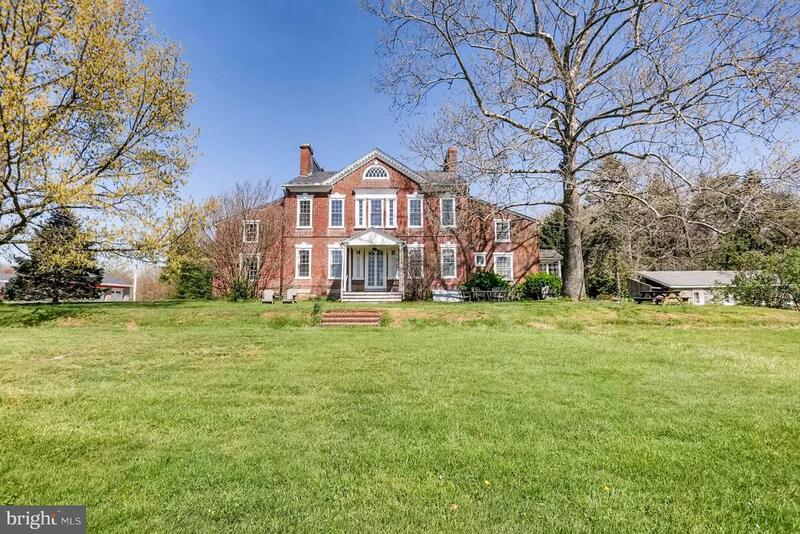 Over 20 rooms, 11 fireplaces, 22 acres, several outbuildings. A visit is required to be able to see all this home has to offer. Stunning views of the Chesapeake Bay. History meets 2018 with updates mixed in with original design. A grand hallway joins the double end entry way"
"Indulge in the luxury of your private haven in Bulle Rock. Masterful finishes, soaring stairwells and expansive kitchen space create an entertainer's dream. Private elevator for convenience. Grand master suite with spectacular spa bath and dressing room. Multi-zoned heated flooring throughout the home and commercial insulation. Unparalleled golf course views. Embrace the Bulle Rock lifestyle with countless social events, clubs and gatherings. Enjoy the convenience of being only minutes away from restaurants and only steps away from the putting green. Aquatic and fitness centers, nature trails and other amenities make this community truly unique." "Welcome to Bulle Rock! 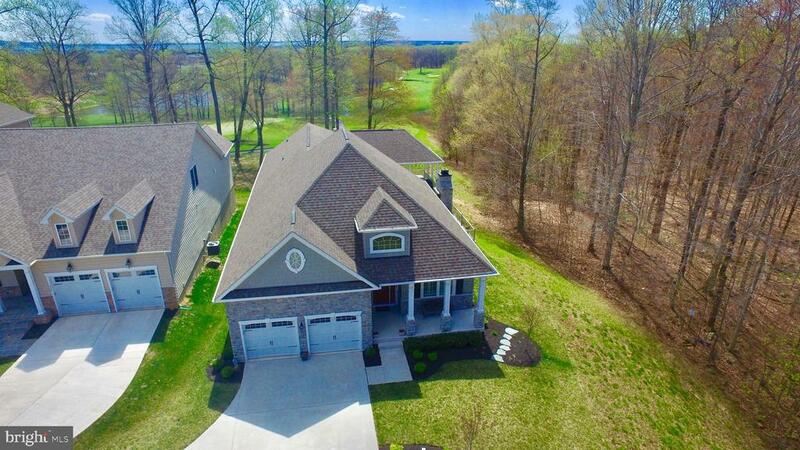 This 3 bedroom 3 bath Clark Turner first floor living craftsman boasts the finest location in the community backing up to the world renowned Pete Dye designed Bulle Rock Golf Course. This stunning 3,600 square foot home is situated on a semi-private lot near the 1st green and the 2nd tee box of the golf course. The private deck portion of the home backs up to the woods where a small soothing creek can be heard in the background. The main level consists of beautiful hardwood flooring throughout the house including the master suite and additional bedrooms. The mass open floor plan with cathedral ceilings adjoins the family room with gas fireplace, kitchen with granite counter tops, custom cabinets and center island. The dining room and sitting room also adjoins the kitchen all with views of the private deck and outdoor wood burning fireplace. The spacious finished basement offers yet another full bath and ground level entry/exit slider. In addition to world class golf, the community offers a restaurant, full gym, indoor/outdoor pools and 24 hour security. Truly resort style living at its finest!" 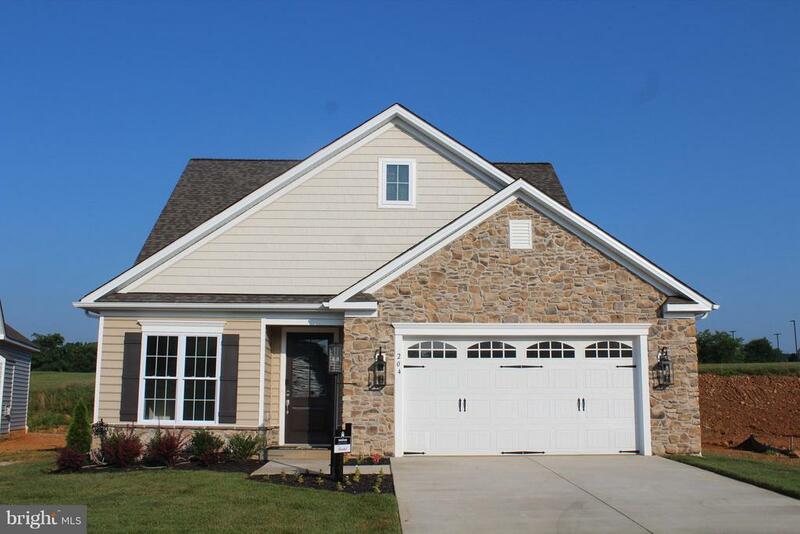 "Ready to live the Havre de Grace lifestyle? Enjoy the abundance of history, shopping, dining, and water-oriented activities just minutes from your doorstep! 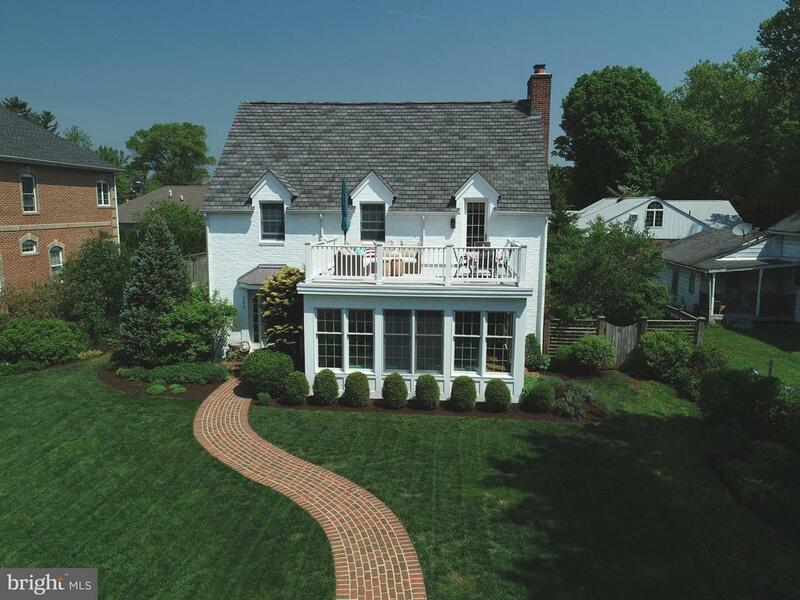 Hard-to-find 3BR/3.5BA Colonial with magnificent water view overlooking Tydings Park and Marina. Fine features in this home include open and spacious main level with 9' ceilings, hardwood floors and lots of windows to let the light stream in and maximize the view. The Kitchen is designed for people who like to cook and entertain at the same time. It features stainless steel appliances, breakfast bar & granite counters. Living Room offers wood burning fireplace to warm you on chilly evenings. Cozy first floor den. Retreat to the Luxurious Master Bedroom and Bath that offer hardwood floors, 9' tray ceilings, double sided gas fireplace in front of soaking tub. Bedroom opens to covered veranda. Bedrooms #2 and #3 share a connecting bathroom. Finished lower level w/full bath, Recreation and Flex Rooms and access to 2 car garage w/private driveway. Watch the world go by on one of the covered porches. Relish the time to just be together. Havre de Grace's unhurried pace and natural beauty invite you to slow down. Your search is over!" "Major Price Improvement!! Dreams do come true...Location, Location , Location...Water view with world class attention to detail. When engaging renowned architect Brian Swanson to recreate the interior-the results are an open floor plan with Fabulous kitchen ( cabinets galore with granite counters and a 5 ft granite island), a separate dining area , living room with a wood burning fireplace, a wet bar with wine storage(& fridge) and a light-filled Sunroom he did so with the rooms having amazing views of Chesapeake Bay- an entertainer~s delight. Truly a paradise with the comfort of that home sweet home feel. The Upper Level has 4 bedrooms & 2 full baths along with exquisite views from the upper level master bedroom balcony - all with hardwood floors. A hallway nook is currently a home office ~(but could be an extension for the master bedroom walk-in closet).A fully finished LL has a wood burning fireplace-and enough space for a ping-pong table! The landscaped yard offers a tranquil setting for reflection ~and a producing garden. The rear asphalt driveway allows off street parking-and room for a future garage. 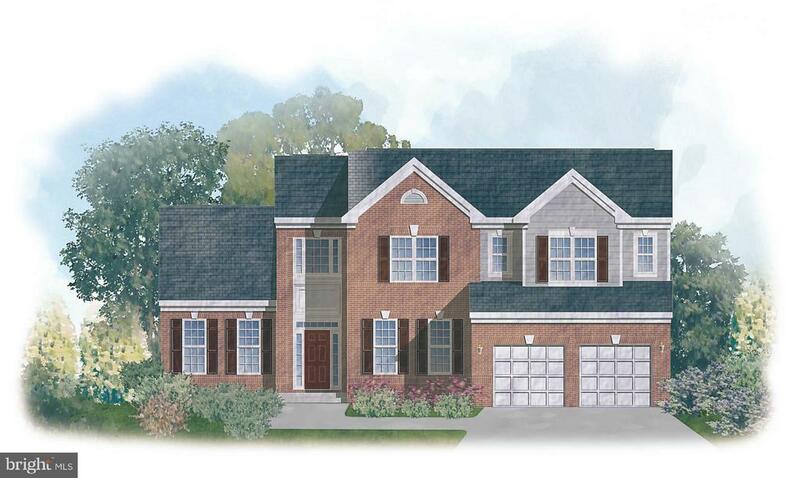 The neighborhood speaks for itself-located across from Tydings Park- that even the premiere builders of Harford County have chosen Commerce street to build their own homes. All of this within walking distance of the towne of Havre de grace, the Lighthouse & marina...(Interactive fp/virtual tour)"
"On Swan Creek! Western red cedar log home combines rustic w/modern. Vaulted 2-story LR w/stone FP flows through stone columns to DR. Eat-in Kit, 1st floor MBR w/FP, Spa Ba, SteamRm & Sauna. 1st floor rooms access wraparound Deck. Lofted FamRm on 2nd level overlooks LR + BR2 w/FP, BR3 & Ba. Walk-out LL RecRm & Ba. Upper & lower Decks, ScreenedGazebo, 100ft dock, standby-generator. Private & serene!" 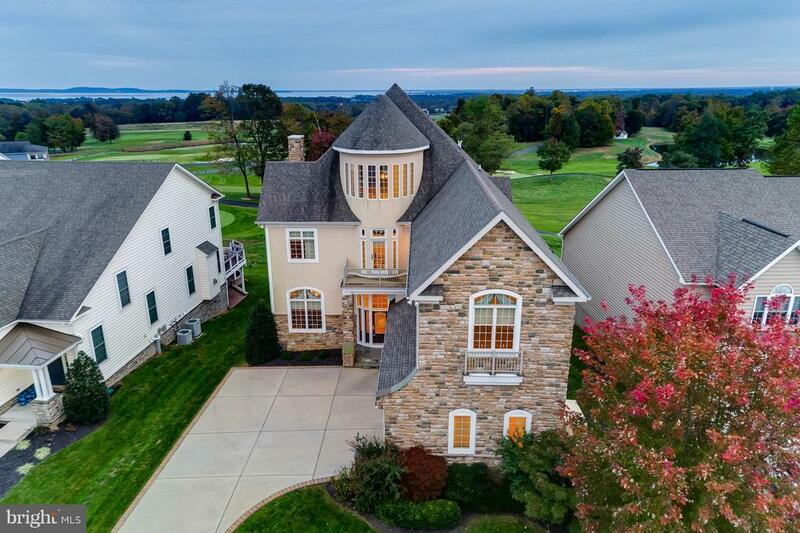 "Welcome home to this stunning Bulle Rock home with luxurious high-end finishes overlooking the Bulle Rock Golf Course. Entertaining is a dream with this open concept floor plan and over 4300 sq. ft of finished living space. The Gourmet Kitchen with SS appliances, granite counters( including a wrap-around raised counter), is open to the Great Room featuring a stone gas fireplace, and has sliders to the Screened Porch with million-dollar views. This is a great place to enjoy your morning coffee or evening happy hours! The screened porch opens to a Trex deck with stairs down to a fabulous hardscape patio with fire pit. This home features a total of five Bedroom's, four full and one-half baths (including a main level bedroom and bath), an upper loft overlooking the 2-story foyer, a convenient main level laundry room, and a 2-car garage. Amenities include upgraded 5 hardwood floors throughout, and granite countertops in all full bathrooms. The fully finished walk-out lower level features a large recreation/party room with a custom bar with granite top, 5th bedroom, full bath and plenty of storage. Walk out to the hardscape patio which spans the entire back of the house with views of the golf course! Enjoy the Bulle Rock lifestyle within the gated community with 24 hr. security, which includes world class golf on a Pete Dye designed course, the on-site Gourmet Pub & Grill, social clubs, community events, a spectacular recreation center with a full gym, indoor & outdoor pools, tennis courts and walking trails. 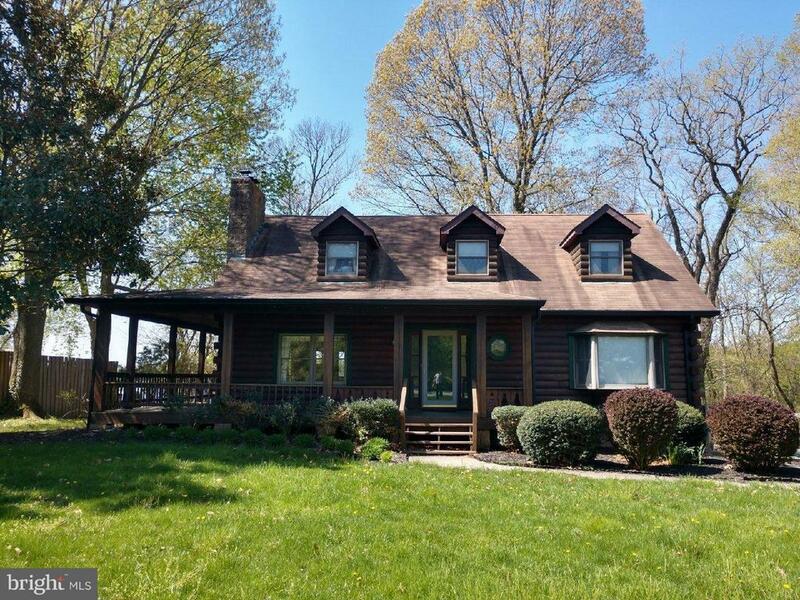 Come live where ~Life Imitates Vacation!~"
"Custom Log Cabin on Swan Creek Waterfront. 100' Shared Pier with Gazebo. Two Car Garage, Two Fireplaces. One Woodburning and the Other Pellet Stove. Wrap-A-Round Deck Overlooks Waterfront Beauty. Located Close to I-95, Rt. 40 and Aberdeen Provong Ground." "Spectacular Waterfront Penthouse Condo! Elevator w/ secure front door access. Garage parking for 1 car & parking lot for addl cars. 2 large Bedrooms, two walk in closets and water view from each. Soaking tub & oversized shower. Gourmet kitchen w/ huge island, hardwood flooring, skylights & gas stove. Living room w/ hardwoods and gas fireplace. Outstanding balcony with breathtaking waterfront views. Outdoor Pool. Boat slips can be rented. Walk downtown to great restaurants, antique stores, fabulous restaurants and adjacent to waterfront boardwalk & park. Close to I-95. Pristine. 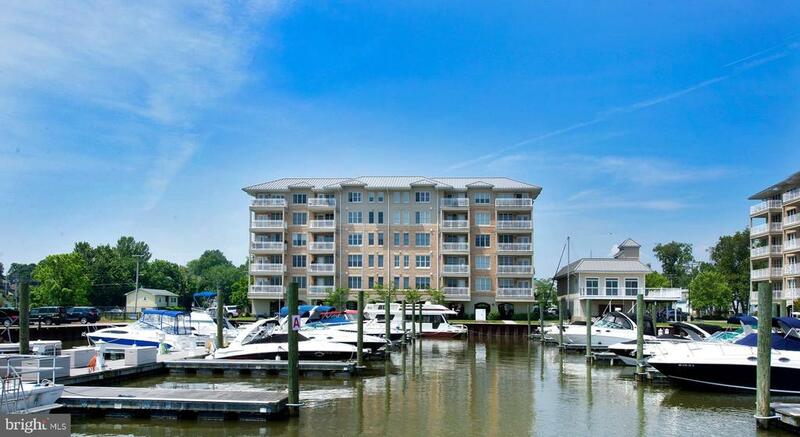 10+++"
"This turnkey condominium unit of uncompromising quality construction is one of the Upper Chesapeake Bay's Premier Waterfront Properties.Rarely does a property with a panoramic view of this magnitude become available for sale. Located where the Susquehanna River meets the Chesapeake Bay, this 4th floor unit boasts what can only be described as a Million Dollar View that includes the iconic and historic Concord Point Lighthouse.Both bedrooms and the main living area have expansive water views. The gourmet kitchen features 42' maple cabinets, silestone counter tops, a gas stove, and an island with breakfast bar. The master suite has a large walk-in closet, a double granite vanity, a separate shower enclosure, and a jet tub.The condo's open concept floor plan allows for comfortable living space and is perfect for entertaining. There is a separate room that can be used as a study or home office. The interior of this condo unit has a great deal of storage space. 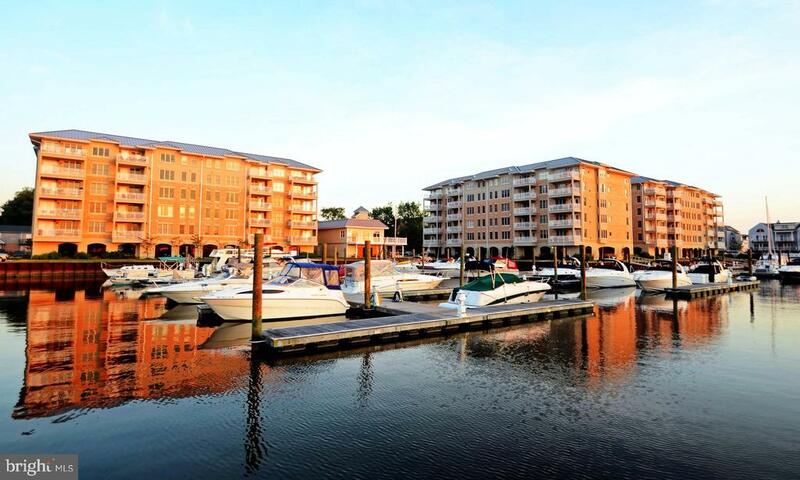 Additionally, there is a separate, dedicated storage area located on the same level.The secure, covered parking area has easy access to elevators.Heron Harbor is located with the town limits of Historic Havre de Grace. It has direct access to a popular promenade hugging the shoreline. The town's business district where there are shops, restaurants, and events held regularly is within walking distance." "Welcome to the Covington Heritage! This home has a beautiful, open floorplan, featuring a Family Room with fireplace, Classic Kitchen, and Breakfast Area with sliding doors to the backyard. The Kitchen has an eat-in island, quartz countertops, and a large walk-in pantry. A study, formal dining room with cove crown molding, powder room, and mud room with walk-in closet complete the first floor. The Owner's Suite has dual walk-in closets and double doors leading into a luxurious Venetian Bath with freestanding tub and large tiled shower. The laundry room is conveniently located on the same floor, in addition to 3 bedrooms and a full bath with separate vanities. Unfinished basement has roughed-in full bath and plenty of room for storage. 3 car garage. Price shown includes all applicable incentives when using a Keystone Custom Homes preferred lender." 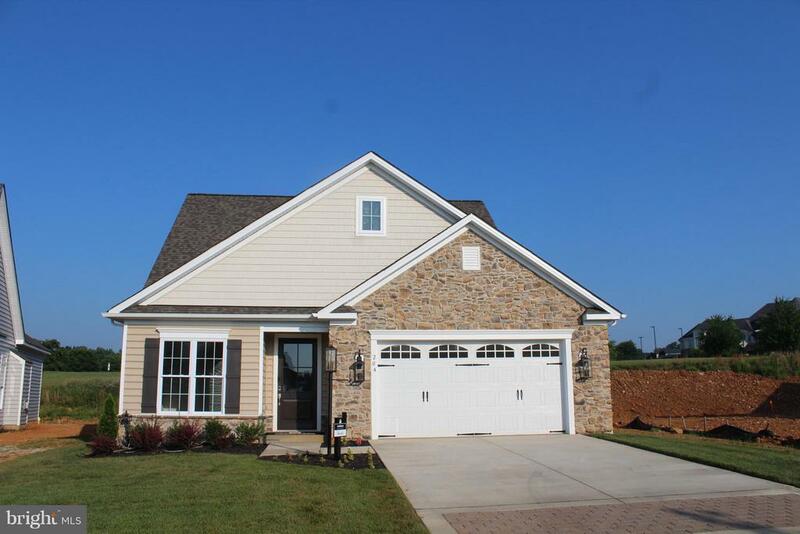 "Pristine Single Family Home in Bulle Rock that shows like a new model home. Why build new when you can have an almost new home at a much lower price with more higher quality amenities! Lennar's Orchard Model that includes an in law suite with separate entrance. 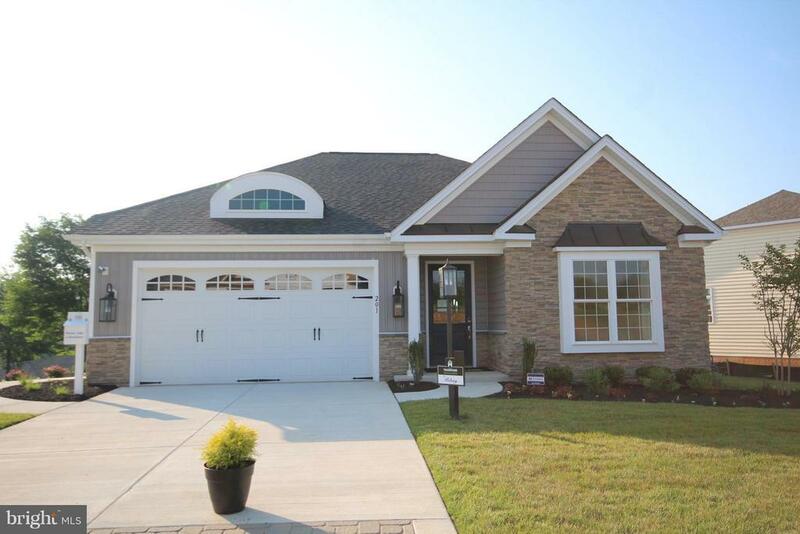 One of only a few models/floor plan of its kind in Bulle Rock. Meticulously maintained and lightly lived in. Open floor plan with neutral d~cor and newly installed wide plank scratch resistant flooring on main level. Gourmet kitchen with upgraded cabinets & stainless steel appliances, granite countertops, island, two wall ovens, 5 burner cooktop, under cabinet lighting. Inset ceiling lights have been replaced with LED lights, some with dimming capabilities. The living room also features portraits lights and custom blinds. The large storage area also includes another full sized refrigerator and full sized upright freezer that convey. The basement includes another large fully finished room for crafting/office/ playroom. The club room is ver large and is pre-wired for surround sound theater with ceiling mounted speakers. The workroom comes with a workbench, pegboards, and wall hanging storage cabinets. The rec room features custom shelving and a shuffleboard table that will remain with the house. In-law suite offers private entry, kitchenette with granite countertops, ceiling fans and custom blinds in living room and bedroom, and stackable washer and dryer hookup. The rear porch features an outdoor ceiling fan and custom sunshade. The porch steps down to a custom stone paver patio that includes a built in fire pit and separate cooking station with a 5 burner stainless grill, side burner, storage area and utensil drawer. Bulle Rock community offers a fantastic lifestyle that includes maintenance free lawn care, first class community center, indoor/outdoor pool, fitness gym, walking trails, highly rated full service restaurant, tennis courts and Nationally ranked state of the art golf course that has hosted "
"Custom Built Colonial in the Community of Swan Creek. First and Second Floors are hardwood pine. Loft overlooks Great Room/Living Room with Cathedral Ceilings and Gas Fireplace. Walk Out to your Deck Overlooking Swan Creek. Over sized Bedrooms Compliment this Open Floor Plan. Family Room in Lover Level consists of Gas Fireplace and Plumbed for Wet Bar.Over 4000 Sq.Ft. of living room. Truly a Unique Jewel in Havre de Grace." "Quick Delivery Bob Ward home. Brand new design with all the bells and whistles. An ideal plan, the Rachel offers a first floor owner's suite and 2 bedrooms on the upper level. An open plan designed for the way you live today. Stunning features you will not find included elsewhere. Full basement and 2 car garage are icing on the cake." "Exceptional 4 BR/4 BA home with $85,000 in Enhancing UPGRADES!!! Plantation Shutters, Custom Blinds, Gas Cook Top, new French Door Refrigerator, Dishwasher, Cherry Hardwood Flooring, Lower Level new carpet, remodeled Wet Bar w/new Granite Counters and Tile floor, new 75-gallon Hot Water Heater, Dual Zoned Central Air and Heating, and much more! Luxurious Master Bath with Quartz Countertops, Custom Cabinets, Jacuzzi, Bidet, Spanish Porcelain/White Body Ceramic Tile Flooring, and Glass Enclosed Shower. Stunning Family Room w/gas Fireplace and Heatilator. Maintenance free Deck with automatic remote-control Awning. Lower Level has Entertainment Center w/ 7.1 Dolby Surround Sound, Epson HD-3D Projector, 100-inch Projection Screen, Wet Bar, Full Bath, Bedroom/Office, Utility Room, Exercise Area, and Large Storage Area." "Welcome to 315 Summer Squall Court, 5 bedrooms, 4.5 baths and over 5,500 sqft of spacious living. 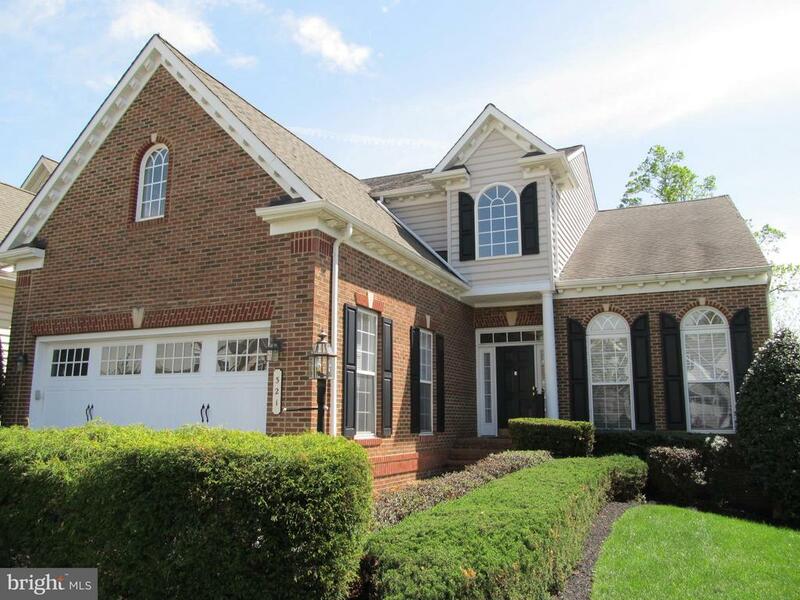 Beautiful, turn-key home in the desirable gated community of Bulle Rock. One of the largest and most popular floor plans, located on a beautiful cul-de-sac. This Open-Concept home with 10-foot ceilings boasts tons of natural light with high-end lighting, foyer accented with box wainscoting and crown molding in the Formal Living and Dining Room. New carpet throughout the entire first floor, custom paint and hardwood floors that stretch from Foyer into the Kitchen adds to its beauty. The Gourmet Kitchen opens onto the Family Room and Breakfast Room. It features custom 42~ cabinets with under cabinet lighting, high-end stainless-steel appliances including double wall oven, built-in microwave and wine cooler, beautiful backsplash and pendant lighting over expansive island. The Family Room features a vaulted ceiling with ceiling fan and gas fireplace with blower. Spacious Master Suite with Sunroom Extension: tray ceiling, custom walk-in closet for Her, second walk-in closet for Him, Master Bath with tile shower and floors, dual vanities and jetted tub. The Sunroom leads to a large trek deck with privacy wall, great for outdoor relaxation. Upstairs you will find a sun-filled Loft, a Second Master with Ensuite and walk-in closet along with two additional Bedrooms and Full Bath. The enormous 9-foot basement ceiling is perfect for entertaining or a separate living space for guests: Bedroom and Full Bathroom, Media Room, Kitchenette with plenty of bar seating and Office/Play Room. Efficient large hot water heater. One of the few homes with dual-zone heating and air conditioning, add to its comforts. First floor Laundry Room with stainless steel front load washer & dryer and additional storage. Community amenities galore include Resident Clubhouse with two pools and fitness center, tennis courts, golf course and biking/walking trails. Enjoy lawn maintenance and snow removal. C"
"To Be Built.Stunning Bob Ward home. Brand new design with all the bells and whistles. An ideal plan, the Rachel offers a first floor owner's suite and 2 bedrooms on the upper level. An open plan designed for the way you live today. Stunning features you will not find included elsewhere. Full basement and 2 car garage are icing on the cake. DECORATED MODEL NOW OPEN"
"TO BE BUILT by Timberlake Homes! The Patuxent, 2,885 Sq. Ft., features a spacious Main Level Master Suite with a sitting area and a Spa-Like Bathroom including a separate Soak Tub and Shower Enclosure. The Living Room, also the perfect space for a Home Office, and Dining Room are separated by the Foyer. An enviable Gourmet Kitchen with Morning Room opens to the Family Room completing the Main Level. The 3 Bedrooms on the Upper Level each have a walk-in closet and access to a Bathroom with a double vanity. 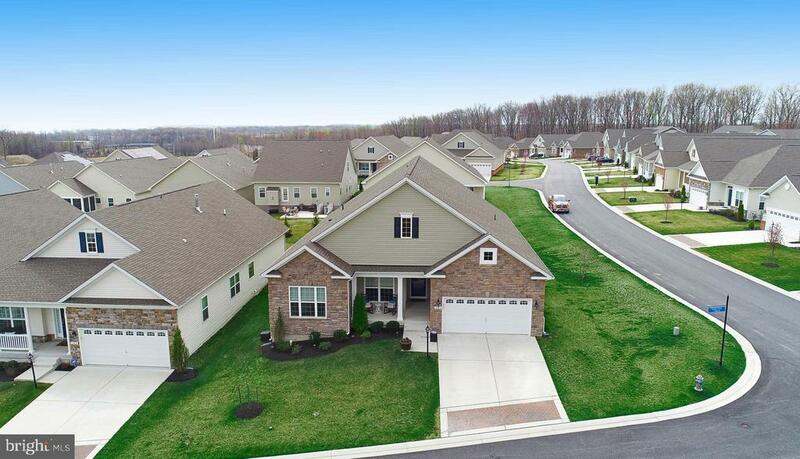 A side loaded Garage is optional.Located just minutes from the Town of Havre de Grace, I-95, APG, shopping and restaurants. Don't miss this opportunity to build your forever home in an idyllic rural setting that's close to everything. Renderings, floor plans, and images shown are representations of homes that can be built. Prices subject to buyer's final selections. Property taxes shown in listing are based on undeveloped/unimproved land only." "DECORATED MODEL OPEN. Stunning Bob Ward home. Brand new design that will knock you off your feet. One level living at it's best. The Kelsey has space in all the right places and innovative touches that will amaze. 2 spacious bedrooms, 2 full baths, open and oversized living spaces, amenities that you will not find included anywhere else. Full basement and 2 car garage are icing on the cake." 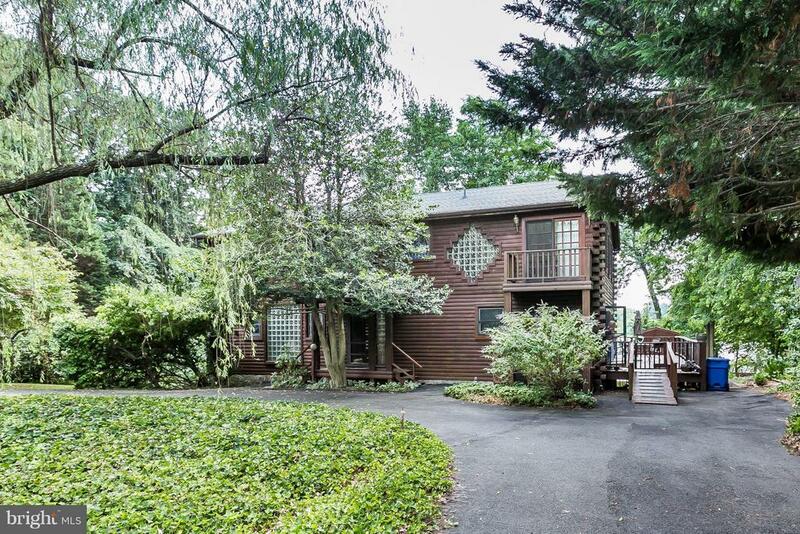 "Beautiful three bedroom, two full bath home on a stunning 5 1/4 acres in Havre de Grace. Basement bonus room currently being used as a 4th bedroom with walk-in closet. New Electric baseboard heat with a thermostat in every room. Fully finished basement with a bar, pellet stove and tile floor. Main level has all wood floors. Updated kitchen with Corian counter tops. Sunroom with laminate flooring overlooking the 5 acres. All appliances convey and the washer empty's into a separate drain field, not the septic system. Ten ceiling fans throughout the home. Tax record is off due to the additions to the home. Home is 1863 Sq Ft of living space and an additional 1620 Sq Ft in the finished basement. Comes with a one year Home Warranty. The garage is 30 x 25. Look in Documents for all the upgrades and when they were done." "TO BE BUILT by Timberlake Homes! Classic Elegance is reflected throughout The Sycamore, 2,368 Sq. 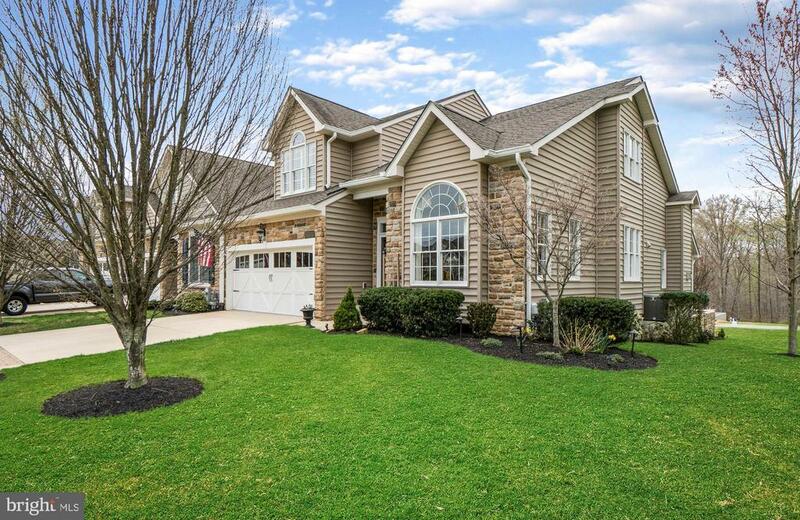 Ft., from distinctive exterior elevations, side loaded Garage optional, down to the finest finishing touches, makes this 4 bedroom, 2.5 Bath, Colonial an Exceptional Value. 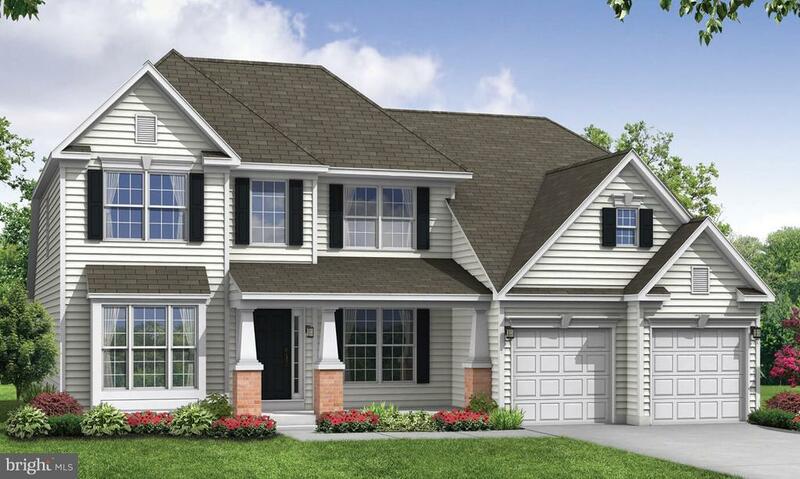 The Main Level boasts both a 2 story Open Foyer and spacious Family Room. The Living Room, also the perfect space for a Home Office, Dining Room, ample sized Kitchen, and Owner's Suite with a Spa-Like Bathroom complete the Main Level. 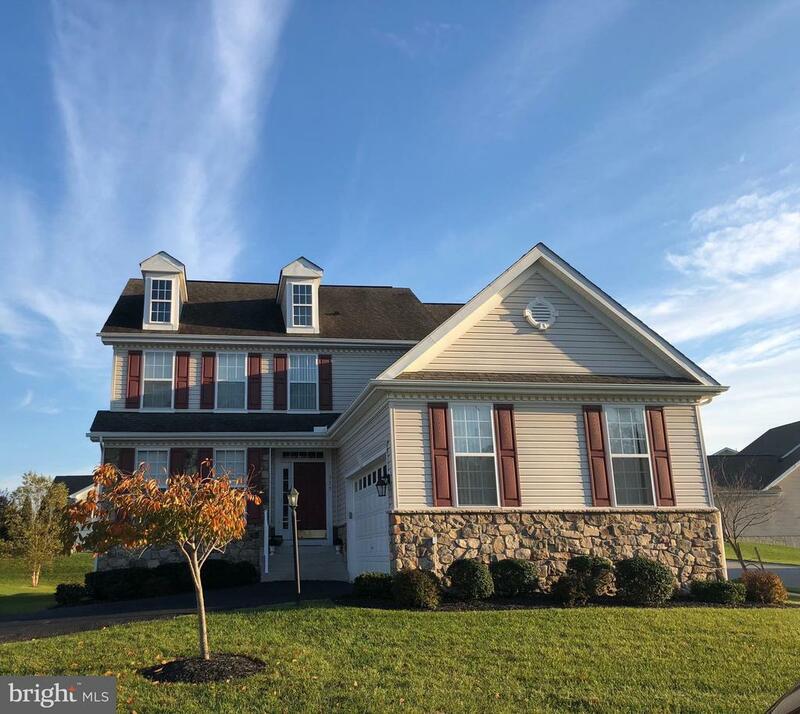 The Upper Level features 3 additional Bedrooms and a dramatic Overlook to the Foyer and Family Room below.Located just minutes from the Town of Havre de Grace, I-95, APG, shopping and restaurants. Don't miss this opportunity to build your forever home in an idyllic rural setting that's close to everything. Renderings, floor plans, and images shown are representations of homes that can be built. Prices subject to buyer's final selections. Property taxes shown in listing are based on undeveloped/unimproved land only." "This is a long thin lot 600 feet deep. There have been two to three houses laid out on this property.The septic system was put in about 7 years agoThe well is still there caped off in the front yard"
"So Excited to offer for sale this Stunning End of Group Villa designed and built by Clark Turner. So many very special attributes to this design. Barrel Ceiling in the Kitchen, Rotonda with stained glass in dining room and stretching upwards thru the second level. From the moment you step thru the front door, you immediately see the quality construction and feel the warmth created by the taste of the current owners. They certainly have cared for and improved this gorgeous home. Large living room with many windows allowing natural light to fill the rooms. Dining room with plenty of seating. Kitchen with large island, granite topped counter space and plenty of high quality cabinetry thru-out. Cozy fireplace and at the back of the home a wall of windows surround the glass door leading to composite deck and aluminum railings which overlook inviting courtyard. First level Owners Suite has a trayed ceiling, tremendous amount of closet space and a master bath that will certainly please. The second level has two additional bedrooms and a Jack and Jill bath All rooms are a generous size. The lower level is certainly a gathering place for entertaining. From the Pool table, the bar and the star of the show, the courtyard. Stone enclosed and paved in tiles, this area feels like you are in Tuscany. Outdoor grill, fireplace, pergola and plenty of seating area. All graced by the meticulous landscaping of plants and trees. Come for the sun and stay for the stars to come out! This home is certain to please your every need. 4 Zone HVAC AC. One in the basement one in the main floor and one in each of the upstairs bedrooms." "FORMER HOME OF DECOY CARVER PAUL GIBSON . 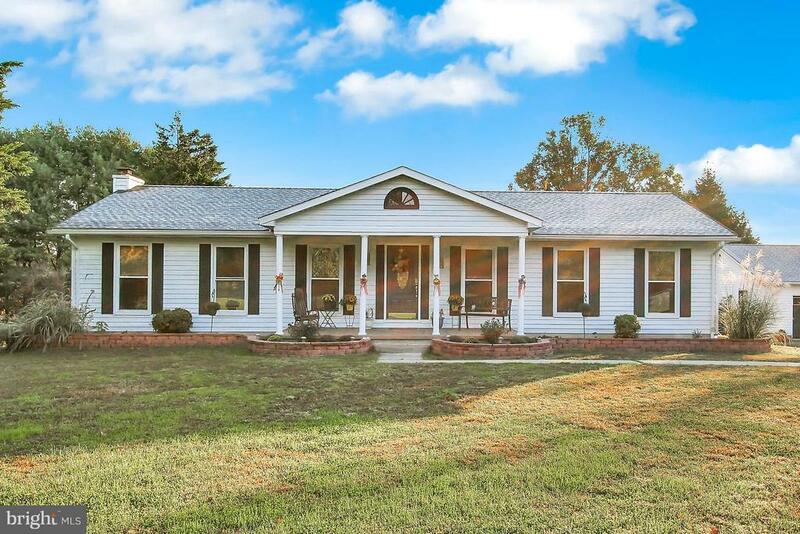 HOME UPDATED AND REMODELED EXTENSIVELY, 2 BEDROOMS AND BATH CONVERTED TO MASTER SUITE AND MASTER BATH COMPLETE WITH LARGE SEPARATE SHOWER AND JETTED TUB. LARGE MASTER BEDROOM WITH DRESSING AREA, WALK-IN CLOSET, LIGHTING, AND HARDWOOD FLOORS. KITCHEN ALSO EXPANDED WITH EAT-IN AREA, CENTER ISLAND, GRANITE, CABINETRY, LIGHTING, HARDWOOD FLOORS, EXIT TO REAR BRICK PATIO AND BACK YARD OR MUDROOM AND SIDE ENTRANCE TO STREET. 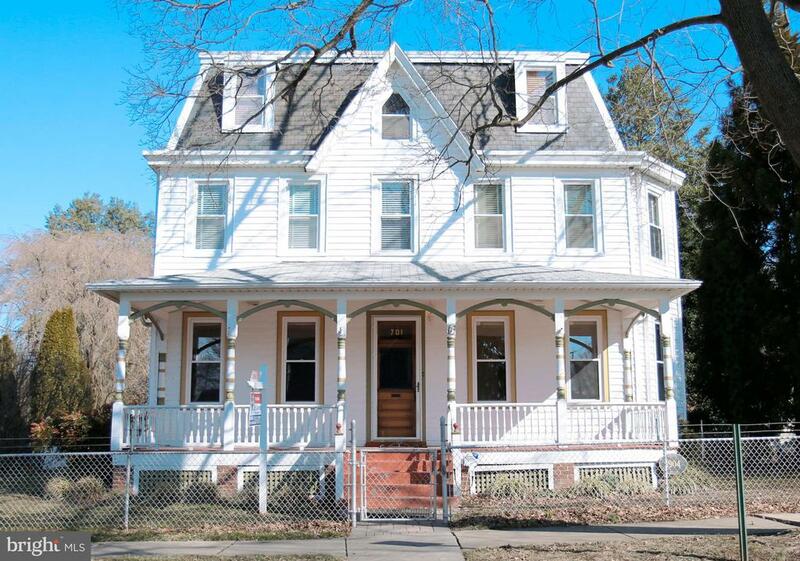 ALL MAJOR SYSTEMS OF PLUMBING ELECTRIC, 2 ZONE HVAC, TANKLESS HOT WATER HEATER, DOUBLE PANE REPLACEMENT WINDOWS, INSULATION, ROOF, OVER $200,000 IN RENOVATIONS YET CHARM AND CHARACTER OF OLDER HOME. 16X60 DETACHED 2 STORY BUILDING TO REAR OF PROPERTY WAS PAUL GIBSONS WORK SHOP VIRTUALLY UNTOUCHED FROM THE DAYS HE CREATED WORKS OF ART, CARVING DECOYS IN THE HAY-DAY OF THAT ERA IN HAVREDEGRACE. COULD BE USED TODAY AS AN ARTIST STUDIO, CRAFT OR HOBBY WORKSHOP, HOME BASED BUSINESS HEADQUARTERS, ENDLESS POSSIBILITIES. FULLY FENCED YARD FOR PETS AND SPORTS PAD FOR HUMAN RECREATION. DENSE TREE LINE FOR PRIVACY."